Today I had the opportunity to present some of my recent mobile work at the 2014 Epic User Group Meeting (UGM) in Verona, WI. This is a gathering of over 10,000 physicians and employees of hospital systems across the country who use the Epic EHR. Duke has been live on Epic ambulatory for a little over two years, and live on Epic inpatient just over a year. We've learned quite a bit since going live, and the goal of UGM is to share that knowledge with other hospitals, as well as to learn from them. Taking a collaborative approach to the improvement of EHRs is not only smart medicine, but, in my opinion, essential to reaching our goals of improved clinical care, enhanced patient satisfaction, reduced costs and streamlined research. Every hospital system brings a unique perspective owing to their own unique strengths and challenges. They will confront and solve problems similar to our own, but likely in different, and hopefully even more effective, ways. 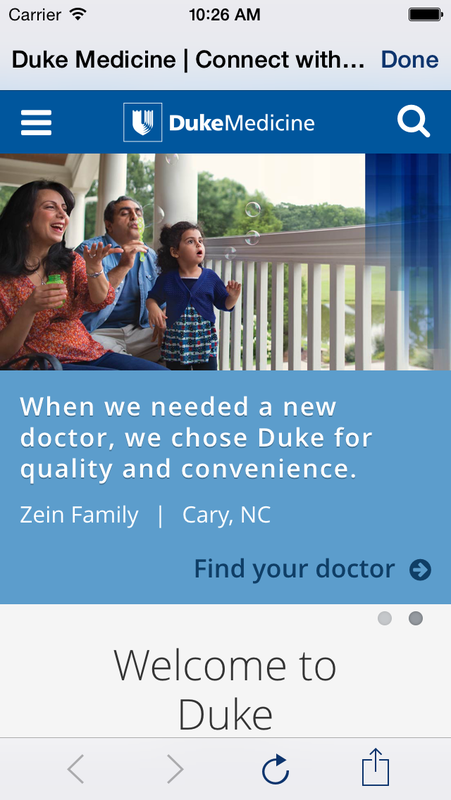 In March of this year, I led the roll-out of Epic's Haiku and Canto mobile applications across Duke University Health System. These applications provide access to the EHR from iOS and Android mobile devices. While the feature set is robust and continually improving with each iteration, there will inevitably be requests for feature improvements from discerning physicians, myself included. Rather than wait for these features to be implemented, I decided to dig a little deeper to see what changes we might be able to make on our own. Due the flexibily of the platform on which Haiku and Canto are built, I was pleasantly surprised by what we could accomplish in a very short time. My UGM presentation, entitled, Hacking Haiku: When You Just Can't Leave Well Enough Alone, is a summary of this work. Please log in to the UserWeb to view the full details of the presentation, including the presentation slides and demonstration videos. When creating this presentation, I started with the underlying principle that anything I shared with the group should be able to be replicated by those in attendance. To that end, I also included a detailed step-by-step guide for these modifications (or "hacks," if you will), also available on the UserWeb. While some of these hacks involve integrations with or modifications to Epic IP and can only be shared via the UserWeb, a significant part of the presentation discussed a custom app I developed, called the Duke Medicine Mobile Companion. The app is extremely simple, and performs one essential function: allows users to view additional content external to the Epic apps while providing a one-tap method to return to those apps. For more information on the app and its functionality, please check out the code on GitHub. The app is currently iOS-only, and was written in Apple's new Swift programming language, now officially available for apps released in the App Store. I thought this would be a good opportunity to learn the new language, while at the same time ensuring that the code is modern and robust. Suggestions and improvements are welcome, obviously. Why no Android? It's actually not necessary. On iOS, the app works by accepting URLs prefixed by the dukemedmc:// URL scheme, a few of which we've added to the Epic apps. 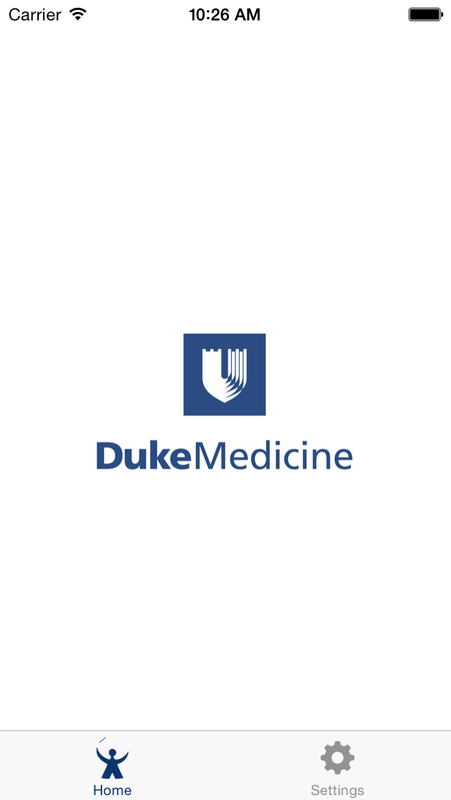 When these URLs are tapped, the Duke Medicine Mobile Companion is opened and information is passed to the app in the form of URL parameters. A button in the app then provides an easy way to return to the Epic apps. On Android, a back button is built into the OS natively that not only works within apps, but also between them. So on Android, we can simply open these URLs in other apps directly (such as the Chrome browser or Google Maps app) and then the user taps the back arrow to return diretly to the Epic app. There's no need to reinvent to wheel when it's not necessary! I hope these ideas along with the implementation details will be helpful to other healthcare systems. The more we collaborate and share, the stronger we'll all be. With the explosion of mobile health apps in the past few years - with more surely to come - it's also as important as ever to ensure that we protect and simplify our provders' workflows so they can spend even more time caring for patients, rather than simply treating diseases.